New Orleans has long maintained its rightful reputation as one of the all-time great music cities. If the U.S. can claim one genre of music as “ours” then it is most certainly jazz, the foundations of which were laid down in the seedier corners of the Crescent City’s brothels and bar rooms at the turn of the 20th century. Though I have an appreciation for its jazz heritage, I’ve always been more taken by New Orleans’ contribution to R&B and soul that reached a fever pitch in the early 1960s. Artists like Dave Bartholomew, Ernie K-Doe, Earl King, Allen Toussaint and Professor Longhair deserve a lion’s share of the credit for shaping a sound that would serve as the backbone of rock n’ roll and funk for the decades to follow. One under-appreciated voice from this golden era of Crescent City soul arrives in the form of June “Curley” Moore. 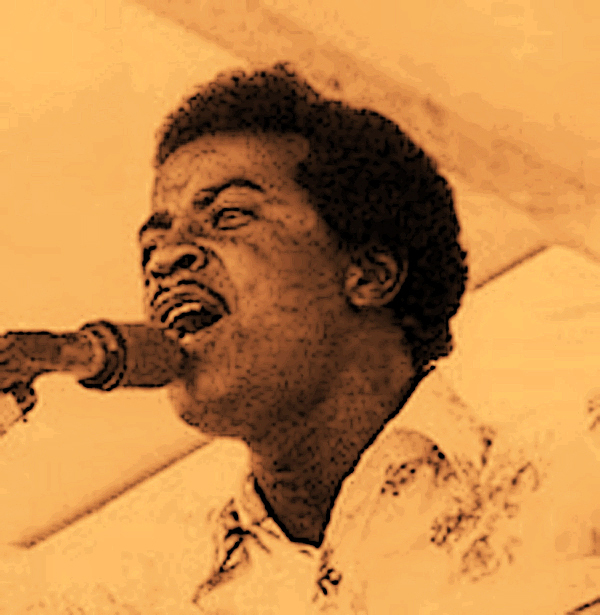 Moore’s contributions can be traced back to a handful of 45s and compilation appearances cut by local labels like Sansu and Hot Line Records. With such a limited catalog, serious vinyl collectors are left to fork over hundreds of dollars on the rare occasion that one of these gems surfaces. Fortunately, for those of us with shallow pockets, a phenomenal compilation Allen Toussaint: Saint of New Orleans was made available in 2009. The disc features two of Curley’s tracks, my favorite of which is featured below. Listen to “Don’t Pity Me” for a taste of Moore at his best. Though wrought with emotion, Moore’s vocal style could be described as thin, occasionally quavering. Regardless of the description, Moore’s is a voice that we can all agree was criminally under-circulated, both then and now. Thank you for the recognition of June “Curley ” Moore.